Today is International Human Rights Day. Every December 10 every year is human rights day. And on this day, two significant events happened in the Philippines. 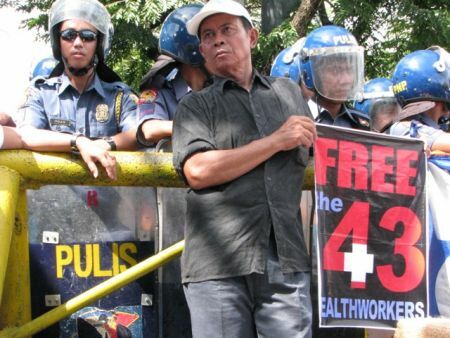 One is that the President has ordered the release of the health workers who have been detained for nearly a year now, called the "Morong 43". 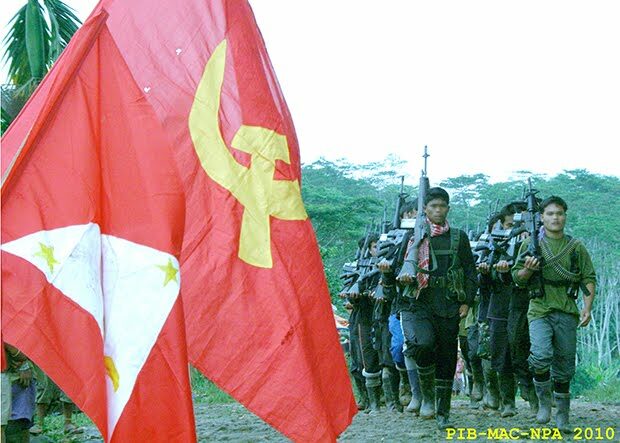 The Philippine military hauled them on charges of being members of the Communist Party of the Philippines - New People's Army (CPP-NPA). 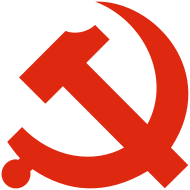 The CPP-NPA were receiving some indirect assistance from the China communist government in the 70s under the leadership of Mao Tse Tung. The founder of the CPP, Joma Sison, was a hard-core Maoist. He patterned the CPP revolution on three communist thinkers, Marx-Lenin-Mao. The kind of revolution they want to pursue is mainly Maoist -- use of farmers, rural workers, to "encircle the cities" in an armed revolt and capture state power. The second important event today is the decision of President Aquino to join other countries who will boycott the awarding ceremony of the Nobel Peace Prize awards in Oslo, Norway, today. 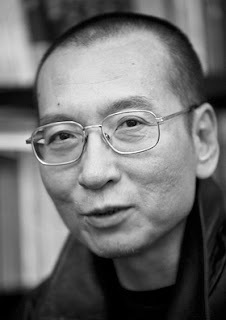 This year's awardee is Liu Xiaobo, a Chinese dissident who was among the leaders of the Tiananmen rebellion in 1989 that resulted in the Tiananmen massacre. Liu was imprisoned then, got out, imprisoned again on other charges later, got out. And about a year ago, he was sentenced to 11 years of imprisonment. China's government violently opposed the decision of the Nobel Peace prize committee, so it launched a diplomatic offensive and pressured some countries not to participate in the awarding of the prize. I think the China government simply over-reacted, its OA. Nobel is a private foundation, not a government or a multilateral institution. If it was the UN, or any state government around the world that gives that Peace award, the China government has every reason to react negatively diplomatically. So now, what if Rotary International, or Mason International, or the International Red Cross, or Transparency International, or any other private and international NGO will give a similar award on peace and non-violence, to any other Chinese dissident, past or present, the China government will again launch another negative diplomatic assault? It is true that President Aquino and the Department of Foreign Affairs (DFA) were so embarrassed by the hostage-taking and death of many HK-Chinese hostages a few months ago. China reacted angrily with the massacre inside the tourist bus. So P.Noy does not want China to be angry again, and this should be the main reason why the Philippine government will boycott the Nobel Peace Prize awarding ceremony. In this case, the PNoy government danced along with the over-reaction of the China government. Back to the NPA. The National Democratic Front (NDF), the chief negotiator in behalf of the CPP-NPA, made a mistake earlier of making the "freedom of Morong 43" as their no. 1 precondition before they will resume peace talks with the Philippine government. It's like implying, "they're our buddies, set them free first, then we can talk". The detained health workers would not want the public to think that way. Lesson: Big government, like the China communist government, can be evil. The right to dissent, the right to self-expression, is part of human liberties. So long as words do not call for violence, like calling for an armed overthrow of a government, critique of corrupt and dictatorial governnts are rightful privileges of people in a free society. If they want health socialism, education socialism, housing socialism, pension socialism,management socialism, etc., then they should work in the open, non-armed, battle for ideas. They should bring books and blogs, not armalite and grenades. The Big Armed Forces of the Philippines (AFP) and their corruption is directly proportional to the corruption and idiocy of the CPP-NPA. If the AFP is not heavily corrupt along with the politicians, the communist rebellion would have ended a long time ago. It is important that NGOs should remain independent -- independent from government, independent from politicians, independent from communist rebels, independent from other bodies that rely on coercion for their continued existence. That way, they will not be indebted to those politicians, government agencies, and can praise or criticize when it is due.